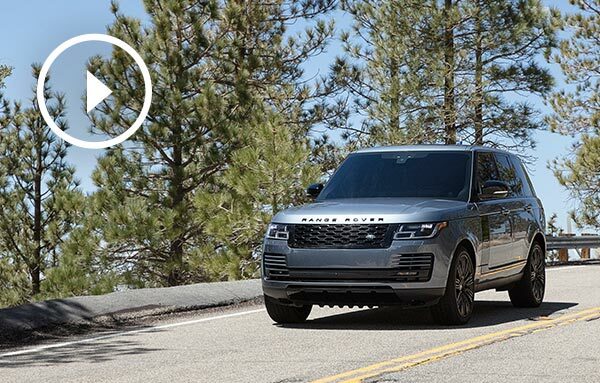 The visceral feeling of driving a Range Rover on the winding roads of Angeles Crest Highway, high in the San Gabriel Mountains, is an inspiring experience. 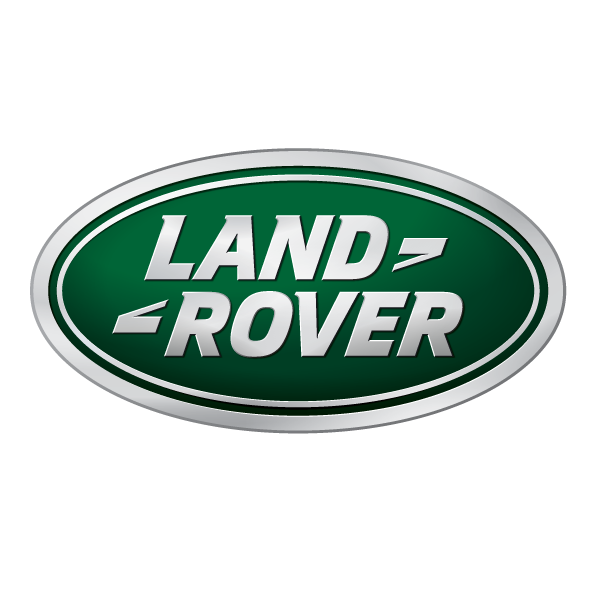 We invited award-winning composer Hans Zimmer to embark on this very journey with the goal of creating a score inspired by and unique to this unparalleled drive. Zimmer has scored more than 150 films in a career that’s been recognized by Hollywood’s most prestigious awards. For this project, the creative process was unlike any he’d practiced in his 30-year career. It meant finding inspiration in nearly every distinctive detail of the drive—the granite slopes along each turn and in the quiet serenity of the Range Rover cabin. The result is an evocative and dynamic piece of music that embodies a peerless driving experience. This is the story behind that composition and an invitation to explore it for yourself. Some of the most spectacular landscapes are found along Angeles Crest Highway, where the Pacific Crest Trail runs parallel to the road on its way north from Mexico-to-Canada. On Cloudburst Summit, weather can change quickly and dramatically. Moist Pacific air brings heavy winter snowfall and driving spring rains, with scorching summers in between. The last remaining club-owned ski facility in California, Buckhorn Ski Club, was originally formed out of neighborhood ski clubs after World War II. Kratka Ridge is a short hike from the highway with seemingly endless views of peaks, valleys, and mountain trails. At Islip Saddle the highway bores twice through the mountains, tunnels blasted out of granite by San Quentin inmates. Zimmer surveys the road from a lookout midway through the drive, analyzing the terrain from a higher vantage point. The highway can quickly lead drivers into more demanding, off-road terrain. The Range Rover was built for such demands, and allowed Zimmer to confidently take in each aspect of the drive. Listen to Zimmer’s original score set to the thrilling journey along Angeles Crest Highway. 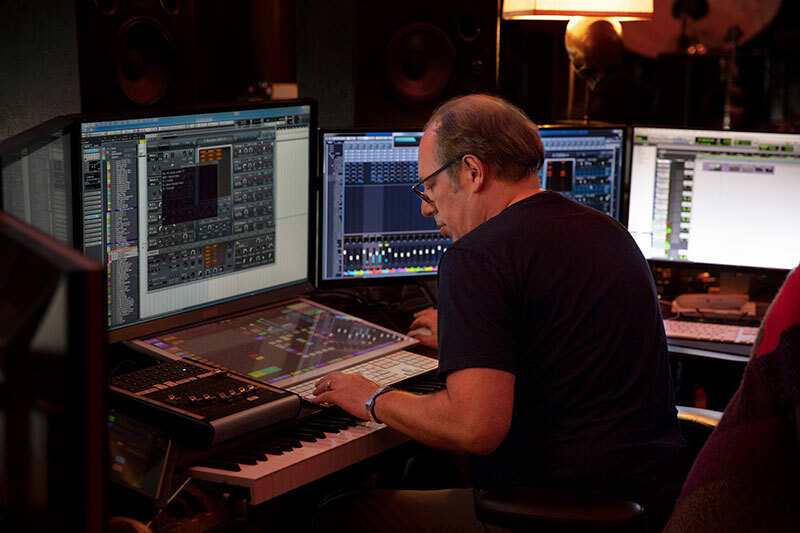 Get an intimate look at Hans Zimmer’s process of creating this singular composition. Zimmer’s journey in the Range Rover begins where the Los Angeles cityscape meets the expansive beauty of the Angeles Crest Highway. Angeles Crest Highway, otherwise known as Los Angeles’s “highway into the heavens,” is 66 miles of snaking, majestic roadway that was carved out of the San Gabriel Mountains in 1929. At each twist, turn, climb, and descent, Zimmer began pairing the sights and sounds of the drive with notes, laying the foundation for the score. Taking a moment to absorb the stunning landscape of the San Gabriel Mountains, Zimmer found inspiration in both the stillness of the air and the sound of the Supercharged V8. Zimmer’s Santa Monica studio could be considered hallowed ground in the musical world. Some of film’s greatest compositions were created over the course of his storied career. Zimmer's editing suite is meticulously designed. Using custom built software he helped to develop, each note and instrument is always within reach. Pulling from his experience in the Range Rover, along with screening footage shot that day, Zimmer begins sketching out the first chords of what ultimately will become the final score.